The incredible new finding is believed to be a snapshot of just 600 million years after the Big Bang. Astronomers have just made an amazing discovery: a galaxy that is so far from us in the universe, we are seeing it from not long after the Big Bang. At 13.2 billion light-years away, this galaxy is the furthest ever viewed by humans, and that dating would place it just 600 million years after the Big Bang, according to a Daily Mail report. Researchers from Caltech who were searching deep in space for some of the earliest known objects from the universe have unearthed a treasure: galaxy EGS8p7, estimated to be 13.2 billion years old. That means the scientists are looking at a snapshot of what the galaxy looked like a whopping 13.2 billion years ago — the universe if believed to be 13.8 billion years old. It’s an extraordinary opportunity for researchers, not just because it represents the farthest galaxy ever recorded, but because it allows scientists to study how galaxies form in the early universe, and thus answer some unexplained questions on the evolution of galaxies that are much closer to us. EGS8p7 was first identified earlier this year as a candidate that merited some further investigation. 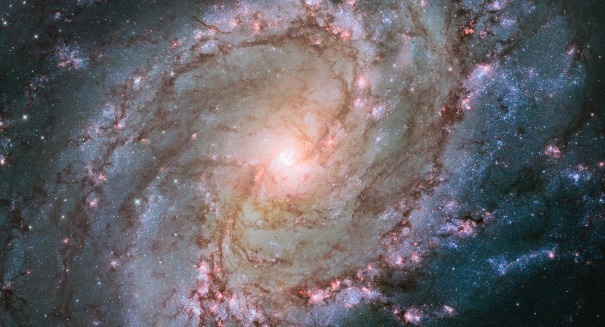 Scientists used NASA’s Hubble Space Telescope along with the Spitzer Space Telescope to observe it. They also enlisted the help of the multi-object spectrometer for infrared exploration (MOSFIRE) at the W.M. Keck Observatory, located in Hawaii. They used this tool to conduct a spectrographic analysis of the galaxy, where they measured redshift and therefore were able to pinpoint the age of the galaxy. The redshift measured was 8.68 — far greater than the previous farthest detected redshift in a galaxy, which was 7.72. That means that this galaxy was around when the universe was full of hydrogen clouds which should have absorbed light, meaning scientists may have to revisit some of their assumptions about the formation of galaxies.